Full language immersion while living overseas helps international students experience real-world situations. Native American Kim McCabe, who belongs to the Navajo Nation, could say the French language had her at "bonjour." The Colorado native says it was during middle school that she realized how big her world had become, just by speaking another language – and that mastering French would be her long-term goal. "I could communicate with millions more people around the world, not just in France," says McCabe, who is pursuing her master's in French at Middlebury College in Vermont. She will spend one summer of her program at the Middlebury Language Schools' School of French in Vermont and a full academic year abroad at the Middlebury School in France. 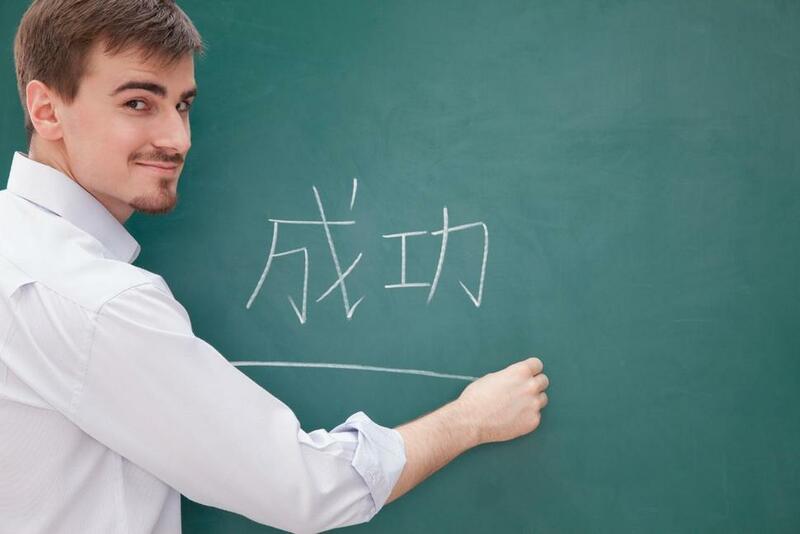 There are many reasons to pursue a foreign language degree abroad. The six official languages of the United Nations – Arabic, Chinese, English, French, Russian and Spanish – are widely spoken worldwide. They also serve as languages of international diplomacy and global business. Here are some additional reasons students from around the world have chosen to earn a foreign language degree in another country. 1. Language and culture immersion: At the Middlebury schools, all students are required to take a Language Pledge – a promise that they will speak only in the language they are studying throughout the entire program. Dalal Abo El Seoud, chair of the Department of Arabic Language Instruction at Egypt's American University in Cairo, also recommends language immersion for students. He says this allows students to "learn in different real-world situations beyond the classroom" and helps them "solve problems using language as they deal with native speakers," whether it's conversing with a cashier at the local store or deciphering a restaurant menu. Finnish national Niina Ollanketo says studying abroad at Heriot Watt University in Edinburgh, Scotland, made her a better communicator, "not only because of knowing foreign languages but because I've learned to use different wording to make myself understood and to explain and re-explain things from different points of view." International students who study languages abroad "expand their cultural competencies, gain a better sense of how language works in context and understand their native language in a deeper way," says Rosemary Feal, executive director of the Modern Language Association of America. 2. Funding, including scholarships: International students can find scholarships and other financial resources to offset their educational expenses. For Ollanketo, a European Union citizen, the Scottish government paid her tuition to study at Heriot Watt University. The Finnish social security system also provided her a monthly student allowance for living expenses. "I considered other universities but only in Scotland because studying there was free – as it would have been in Finland," says Ollanketo, who graduated in June with an undergraduate degree, referred to as a master's with honors in interpreting and translating French and Spanish. Ollanketo says her four-year program allowed her to "learn interpreting in three foreign languages in one degree" – the third being English – unlike in Finland where she would have studied philology in one foreign language, with one or two optional courses in interpreting. "I wanted a more hands-on, practical degree, with more languages," says Ollanketo. McCabe from Middlebury College received a partial scholarship from the school and says without the funding she would have had "to think much longer and harder about the value of this master's degree." There are many partial and full scholarships available, such as the U.S. Department of State's Critical Language Scholarships – awarded to American undergrad and grad students enrolled in a degree program at a U.S. school in any field – for the equivalent of one academic year of language study abroad. The Danish government offers what it calls "long-term scholarships" to international graduate-level students from China, Japan, Israel, Egypt and Russia who are studying Danish; bachelor's students can also apply if they have studied Danish for two years. 3. Improve employability: Learning another language builds self-confidence and bolsters communication skills, which in turn can increase employability, says Nasser Isleem, senior lecturer of Arabic at New York University Abu Dhabi in the United Arab Emirates. He says being multilingual adds a highly sought-after skill on resumes and gives students an edge in the job market. Some language learners studying overseas "find new passion that can affect their specialization or career line, or even relocate to live in another country and continue with their life there," Isleem says. He adds that they are also likely to adapt to new settings quickly, which gives them "a better chance to get jobs in different settings and fields." Ollanketo's mastery of French and Spanish will likely serve her well as she pursues employment in translation and interpreting. According to Heriot-Watt University, 80 percent of grads with a degree in interpreting and translating French and Spanish land a job in six months. These jobs range from working in education to media and public service. Meanwhile, the U.S. job market for individuals with language degrees looks promising. The U.S. Bureau of Labor Statistics projects that employment of interpreters and translators will grow much faster than the average of all other occupations – increasing by 29 percent from 2014 to 2024 – thanks to globalization and rising numbers of non-English-speakers in the U.S. Despite a promising U.S. job market, following graduation from Middlebury College, McCabe plans to live in France for a few years. She hopes to work in education, particularly in the study abroad and student exchange field.